The Detroit Red Wings have agreed to a two-year, $6.6 million contract with Anthony Mantha. DETROIT — The Detroit Red Wings have agreed to a two-year, $6.6 million contract with Anthony Mantha. 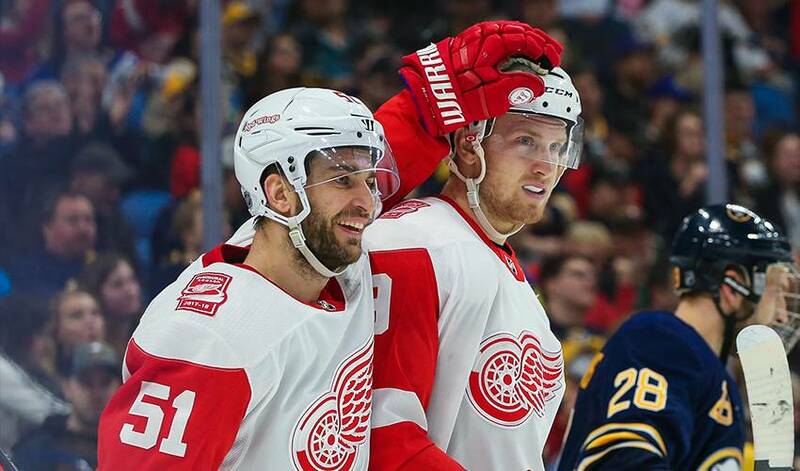 The Red Wings announced the move with the restricted free agent Wednesday, keeping the 23-year-old wing after he led the team with 24 goals last season. Mantha had 48 points in 80 games last season. He has 43 goals and 44 assists in two-plus seasons with the Red Wings. Detroit drafted him 20th overall in 2013. The Red Wings re-signed restricted free agent Andreas Athanasiou last year with a two-year contract.